The Atmospheric Sciences Division of the EGU is launching its new blog. This blog hopes to address a number of topics, as well as the major challenges, related to the atmospheric sciences. In this introductory post, I would like to present some of the topics we will address here and also some hurdles the scientific community is trying to overcome. First, let’s agree on some definitions. Atmospheric science is a field which studies the various processes which are taking place in the fluid layer above the surface of a planet. This can include a a range of topics : Atmospheric Chemistry (“is the study of the composition of the atmosphere, the sources and fates of gases and particles in air, and changes induced by natural and anthropogenic processes”), Atmospheric Dynamics (“involves observational and theoretical analysis of all motion systems of meteorological significance, including such diverse phenomena as thunderstorms, tornadoes, gravity waves, tropical hurricanes, extratropical cyclones, jet streams, and global-scale circulations”), Atmospheric Physics (“is the application of the fundamental laws of physics to the systems and the phenomena hosted by the subtle thin layer of gases and vapors surrounding a planet”) and Climatology (“which represents the composite of day-to-day weather over a longer period of time”). Although these definitions might seem a tiny bit rudimentary they give a grasp of how vast this field can be. It is popular belief that atmospheric science is applied mainly to the Earth but extensive research isalso taking place on other celestial bodies. Secondly, let’s take a look at the major research challenges that we are facing in this field. Data collection and assimilation are an inherent problem in all research but particularly important in this field. The amount of data to be collected and analysed is significant with regards to the systems (e.g. 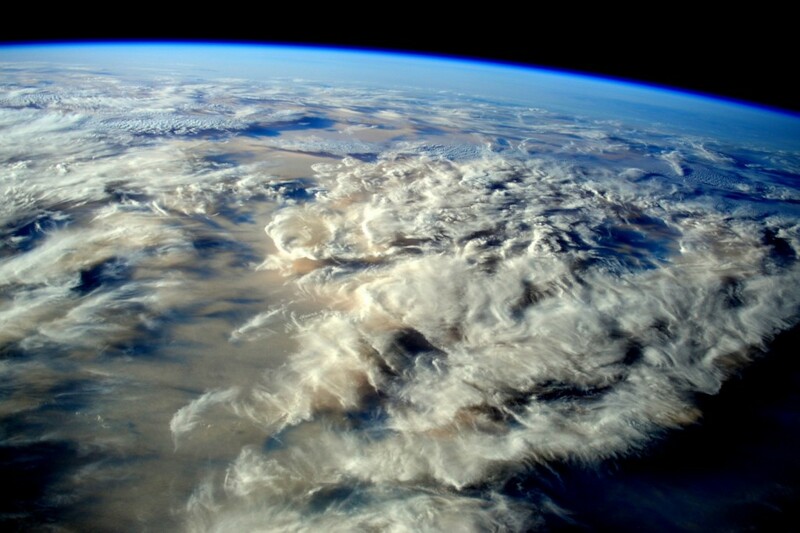 Earth’s atmosphere) we are looking at. Furthermore weather and climate processes are very complex to model due to the non-linear processes (e.g. fluid mechanics, feedbacks…). These models are crucial in understanding the phenomena and for an enhanced prediction for the future. Developing and developed countries alike, faces air pollution problems. Models have significantly improved in this aspect but still need to be improved to tackle the new challenges (e.g. indoor air-pollution, biomass burning, …). These are also very closely related to urban climate and boundary layer and small scale processes (turbulence…). I only mention a few tasks we need to address but of course there are a significant number of others (e.g. ozone layer, extreme events, cloud physics, …). Finally, to conclude there is also one significant obstacle that we are also facing and this is policy making and application of some research programmes. Even if models and significant research exist in a certain field this does not mean that policy makers will base their decisions on the outcome of a research project. It is thus also vital to address societal complexity through research and also to use outreach as a means to reach a vast audience to promote the goals of our research programmes. In the future, we hope to present some of the research programmes that are currently being done in this field and to show how we intend to address present and future challenges. Please feel free to comment below and we also welcome guest bloggers, so do not hesitate to contact us if you want to contribute. We look forward to having an amazing ride with you!